Pretoria – One of South Africa’s top-selling vehicles, the locally-built Ford Ranger, is set to become an even more compelling choice with an upgrade to the standard specification levels of all XL, XLS, XLT and range-topping Wildtrak derivatives. 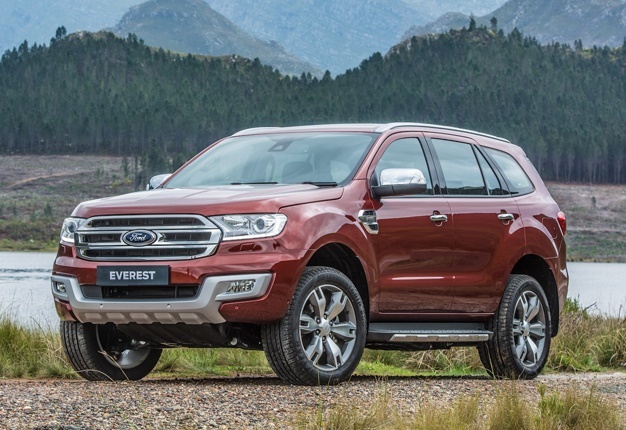 The Everest sport utility vehicle (SUV), also produced at Ford's Silverton Assembly Plant in Pretoria, receives several new features as part of the running changes to its line-up too, says Ford. Ford general manager of the Sub-Saharan Africa Region, Tracey Delate, said: "As one of South Africa’s top-selling vehicles, both within the light commercial vehicle segment and overall vehicle sales environment, the Ranger is a trend-setter that continues to set new benchmarks. "The new features added to the range, specifically SYNC 3 with Navigation on the top-spec models, enhance this reputation even further while significantly improving driving convenience, safety and comfort. 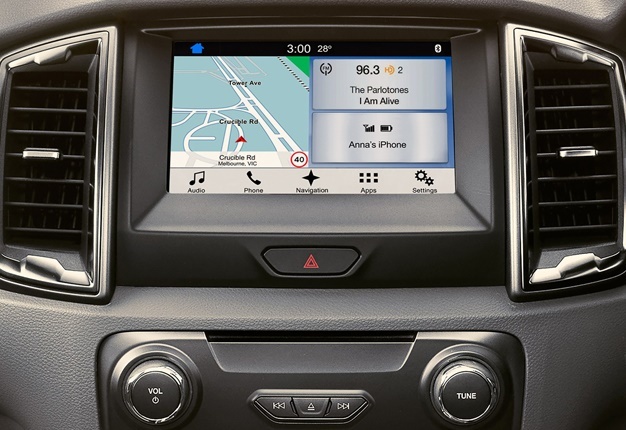 Ford’s latest-generation SYNC3 with Navigation infotainment system makes its debut in the Ranger XLT and Wildtrak models, and in the Everest XLT and Limited, says Ford. This incorporates all the benefits of the SYNC3 system introduced in 2016, with the addition of a comprehensive suite of integrated navigation functions accessible via the 8-inch touch screen and a wide range of voice commands. Off-road capability has been enhanced with the factory-fitted rear differential lock now included as standard fitment on the Everest 4x2 models, as well as on all Ranger XL, XLS, XLT and Wildtrak derivatives. The electronically operated diff lock ensures rear-wheel traction is maximised when tackling uneven terrain. Parking and reversing manoeuvres are now even easier on Ranger XLS models thanks to the inclusion of a rear view camera and park distance control sensors, while an extra level of security is provided as all models benefit from a spare wheel lock becoming standard factory fitment, claims the automaker. ISOFIX child seat mounting points are provided for outer middle-row seats on all Everest models. Ford’s SYNC3 with Navigation infotainment system boasts fully featured embedded navigation, along with faster performing, brighter 8-inch colour touch screen that offers clearer icons and convenient multi-touch gestures (such as swipe, slide, scroll and pinch-to-zoom), plus voice recognition that uses simple, real-world voice commands. Another fantastic innovation is the inclusion of Tracks4Africa, allowing Ford Ranger and Everest owners to take advantage of the unique mapping created from the collective travel experience of the Tracks4Africa travelling community. All models receive free annual map updates for a period of five years, says Ford. Additionally, text and voice guidance are available in a multitude of languages, comprising Afrikaans, Arabic, English, French, German, Italian, Portuguese, Spanish and Zulu. SYNC3 also offers the benefits of smartphone integration provided through Apple CarPlay or Android Auto, which transforms the phone’s connectivity with the car. Licenses for Apple CarPlay and Android Auto are still being finalised for official release in the collective Middle East and Africa region, and therefore will be introduced as they become available in market. To keep the system up to date, periodic over-the-air software updates for SYNC®3 can be downloaded via Wi-Fi, once it is set up on a trusted wireless network.